I collected these males about 9:30 AM, air temp. 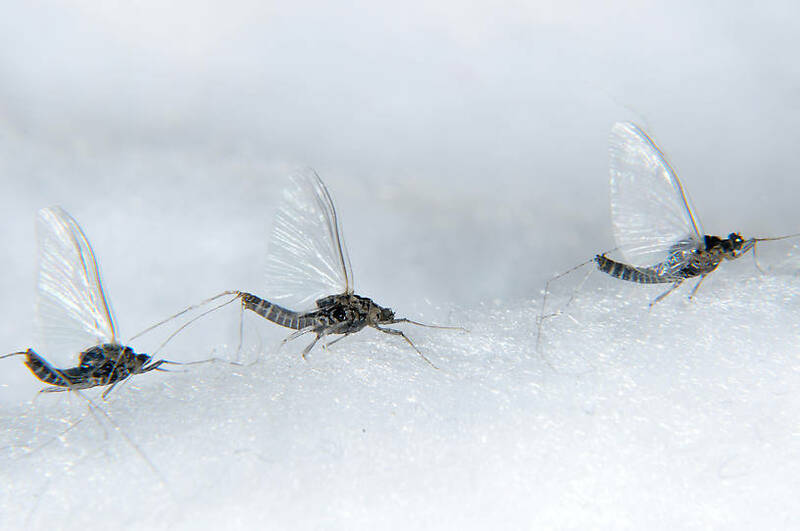 about 68 degrees F. The males were flying about 3 ft above the stream flying up and down the stream rather than the typical vertical swarm you see with most mayfly males. The males are black and the females are a green color due to the eggs they are carrying. 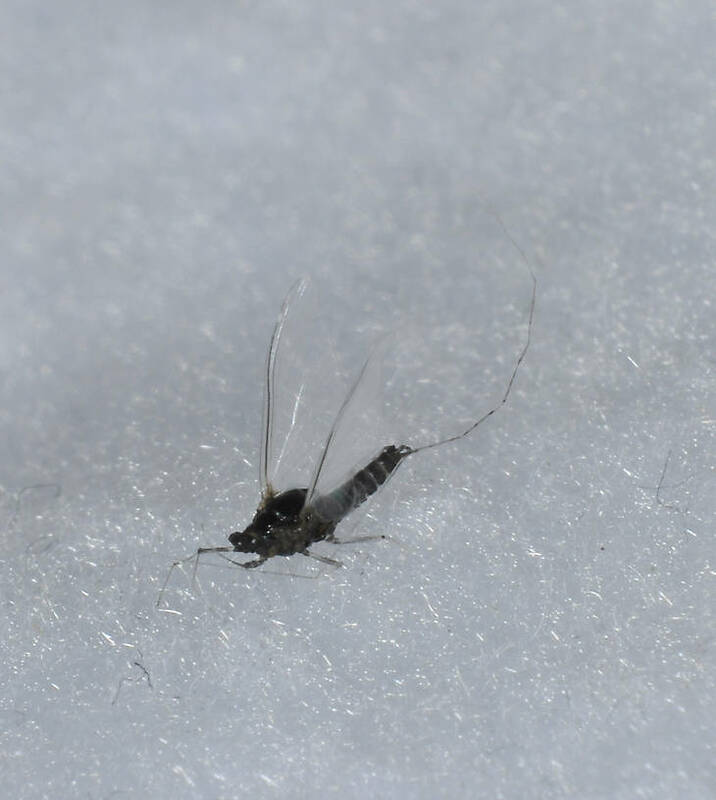 They do not live very long which is typical for small bodied mayflies. They do not fly during windy conditions. I suspect these are Tricorythodes minutus. 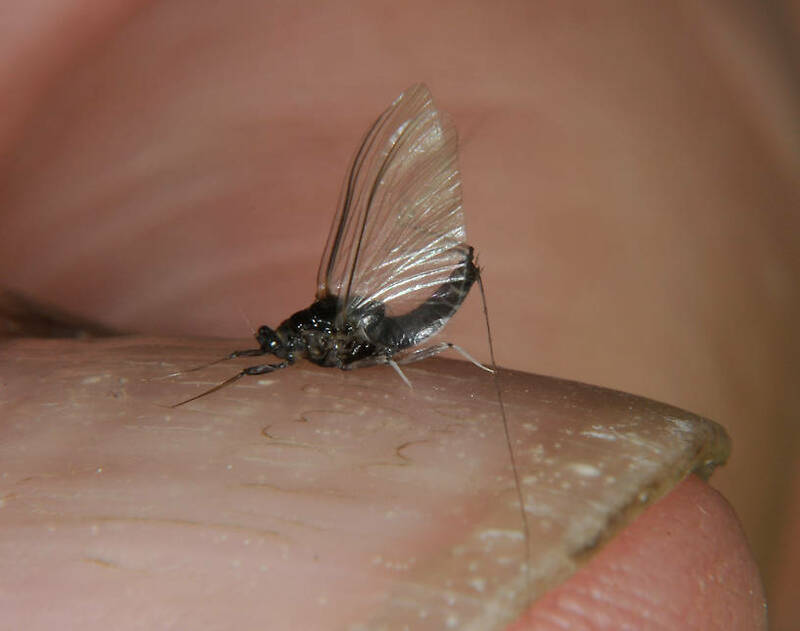 This mayfly was collected from the Touchet River on August 12th, 2011 and added to Troutnut.com on August 12th, 2011.